See some suggestions here, we will add more as we go along. This track can be a nice way to spend the day. 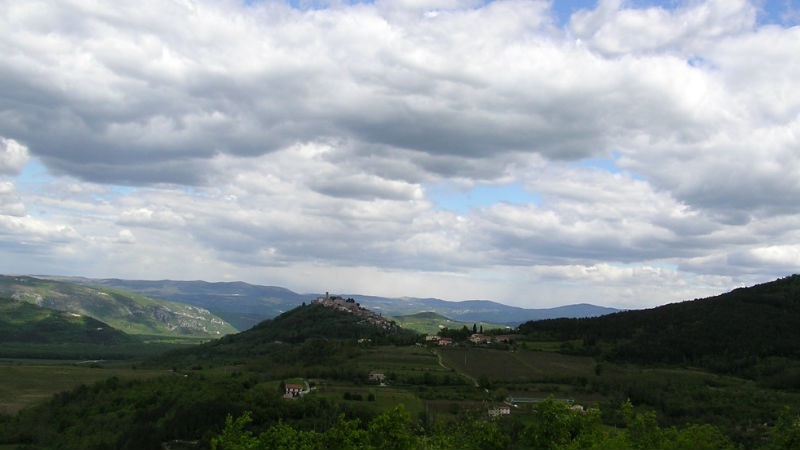 It starts form Motovun, then goes downhill on the part of Parenzana trail towards Livade. 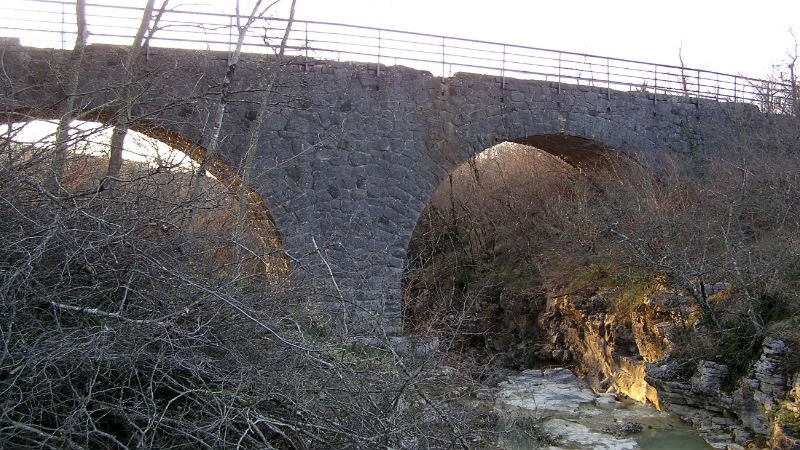 Pass the bridge over river Mirna and then go straight to village of Livade. When there you use a roundabout to go left and drive few km on asphalt (road is very quiet not much traffic) and then onwards to a gravel road. On the way you will pass throe Ponte Porton and there is a restaurant where you can rest or get drink. From here you go on the main road just for 200m then pass the roundabout you will turn right on the macadam road that follows the river Mirna all the way to the sea. This road is simply beautiful with nice views. At the end you will come to the Mirna river delta where it enters the sea. 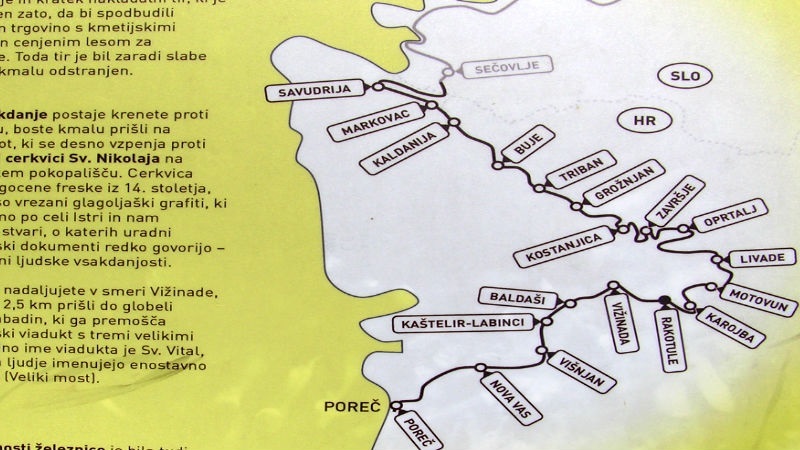 There you can either go rights and ride for a few km to Novigrad, but that is on the main road. For a return use the same route. This is just a suggestion, as you can make some deviations or use different route for a return just go to the opposite side of river bed. This a variation og official 601 Veli Joze track. It goes around Motovun on Parenzana trail, then towards Murari, Sveti Bartol, around the Motovun along Mirna river, then uphill towards Valenti and Brkac. 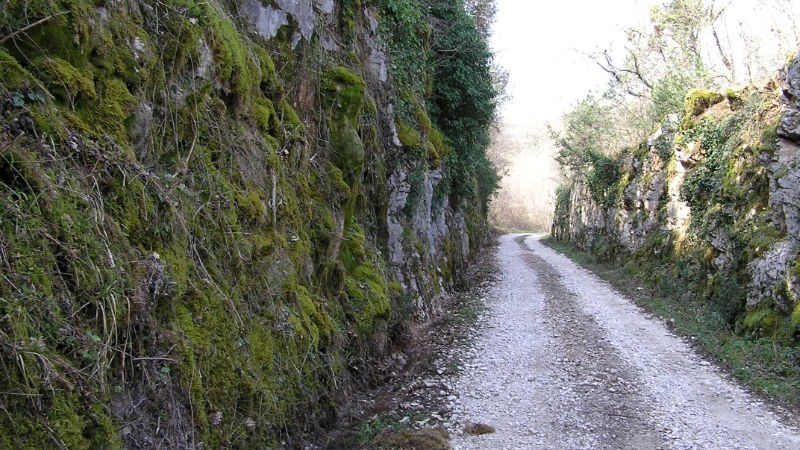 Last part is again on Parenzana trail to Motovun, throe the tunnel and back to start point. This trail goes downhill form Motovun on Parenzan atrail an dthen towards Kaldir, a another village throe coutryside of vineyards. 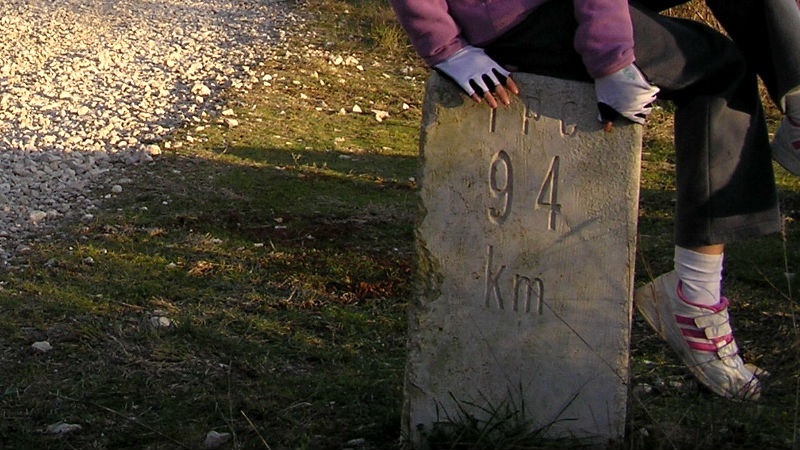 It is then uphill to Kaldir, then mostly flat an ddown towards Motovun. 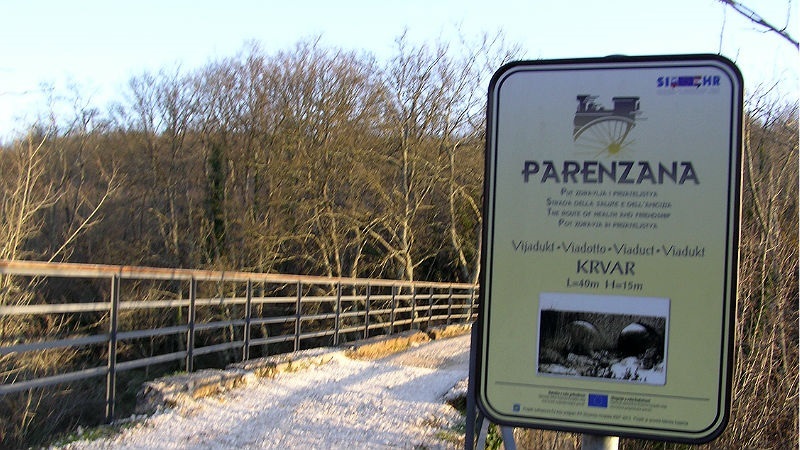 This is a official trail Motovun - Vizinada mostly on parenzana old railway track. It is a round trip to Vizinada. 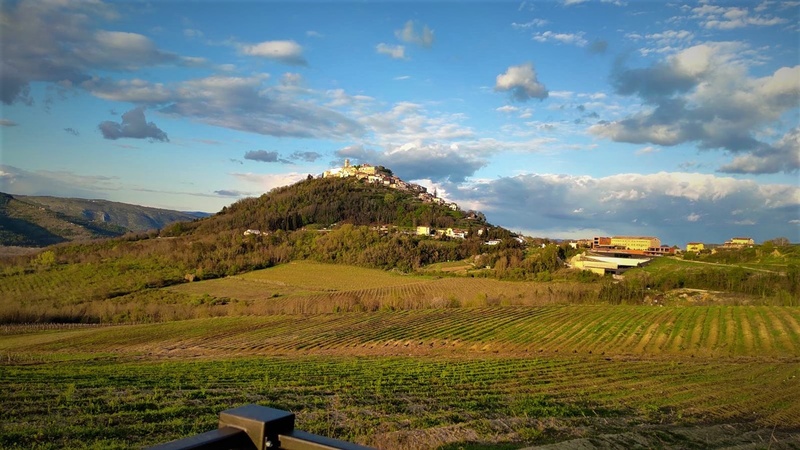 Goes from motovun to Vizinada and then downhill toward river Mirna and last bit is uphill to Motovun.